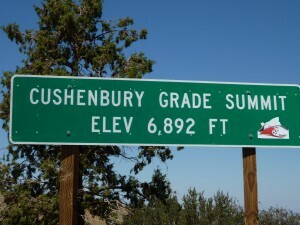 When it’s hot in the ‘burbs of Los Angeles nothing beats a quick ride up into our local mountains. Say what you will about Southern California, but everything is “freeway close,” especially some great local riding! 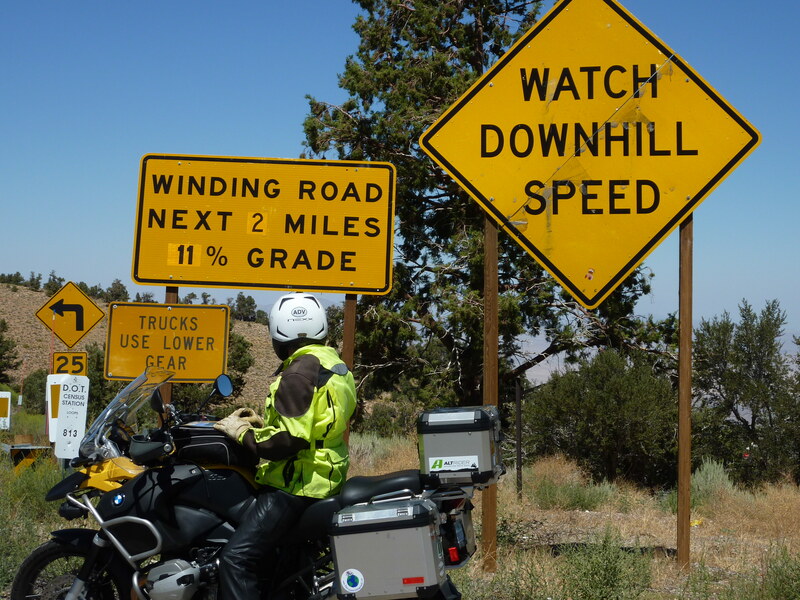 With that, J and I loaded up our new R1200 GSA and headed north on I-15…Soon we exited the interstate and and quickly jumped off at CA 138. 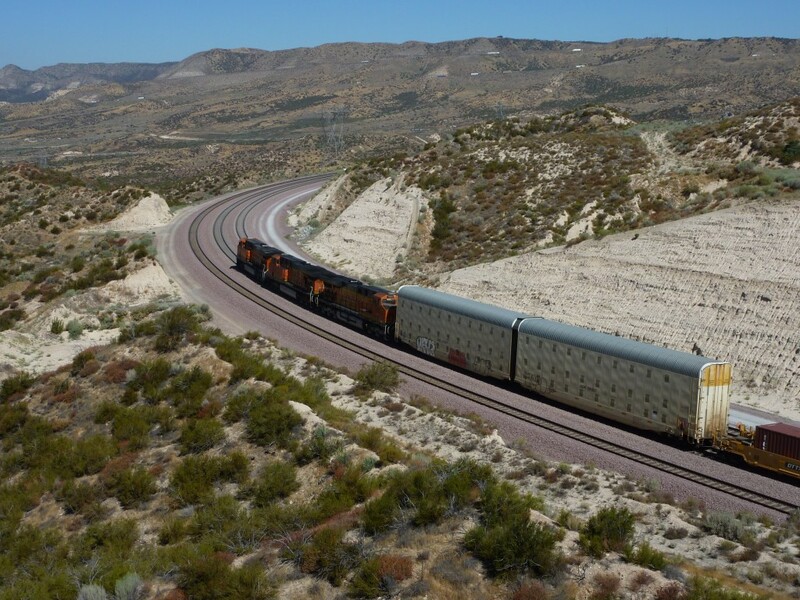 From here, choices abound…riders can enjoy a ride thru the deserts, up to Wrightwood, a cute little town in the Angeles mountain, or head east toward Silverwood Lake. 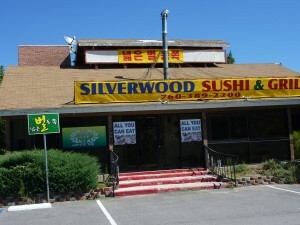 We opted for Silverwood, and made a quick decision to head east! 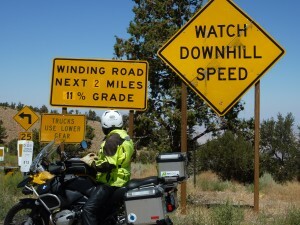 We quickly got into the tempo of little traffic, lots of curvy road, and miles of endless desert and mountain vistas! 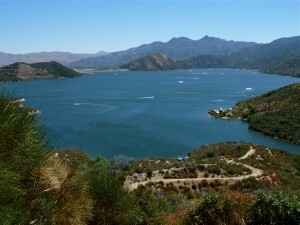 As we continued east, we felt the temps start to drop as we got closer to Silverwood Lake. 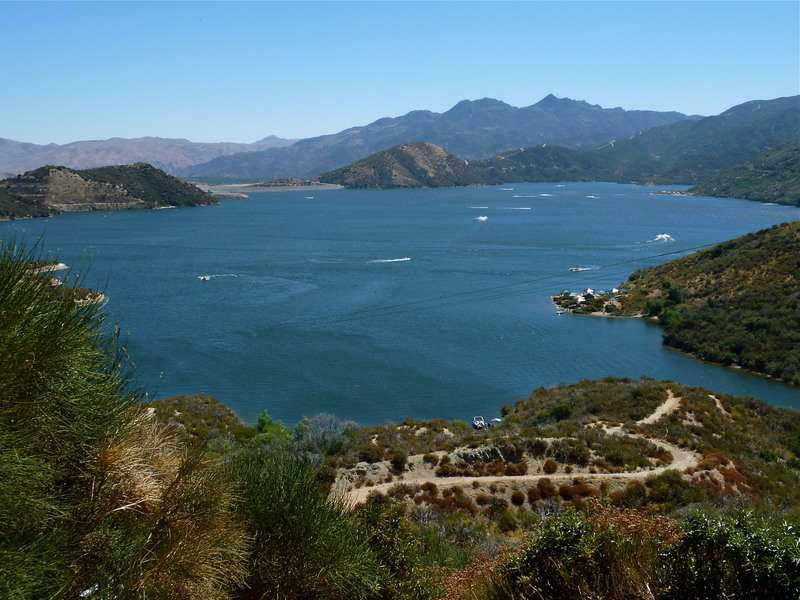 Silverwood is part of the vast system of aqueducts, lakes, and canals that help feed LA’s nearly insatiable appetite for water. We stopped to take a few pix of the boaters enjoying one of the last few days of summer! 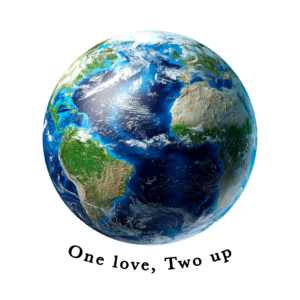 Nice and cool up here…a pleasant change from the desert floor! 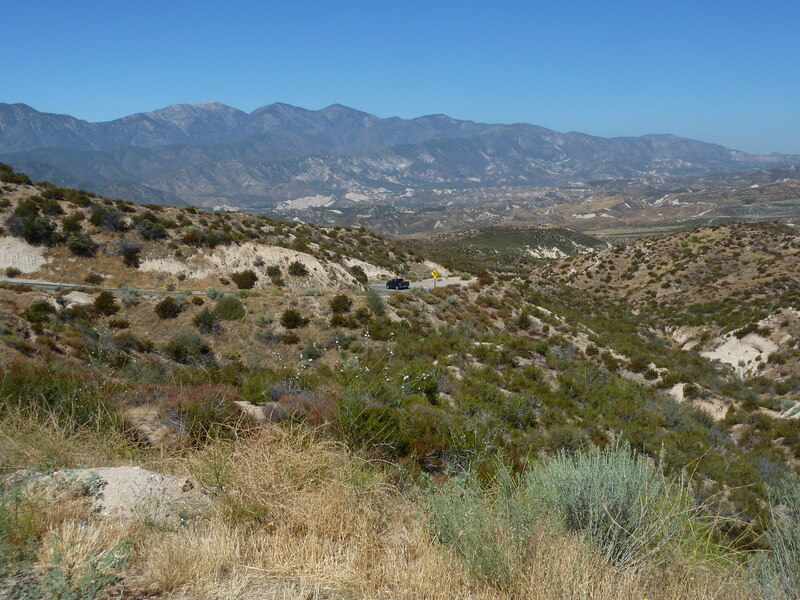 We really were excited to keep climbing up the northern side of the San Bernardino mountains. 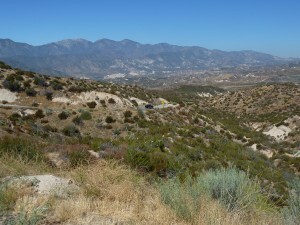 Soon the chaparral gave way to the mixed hardwood forest of pines, oak, and other bigger trees. 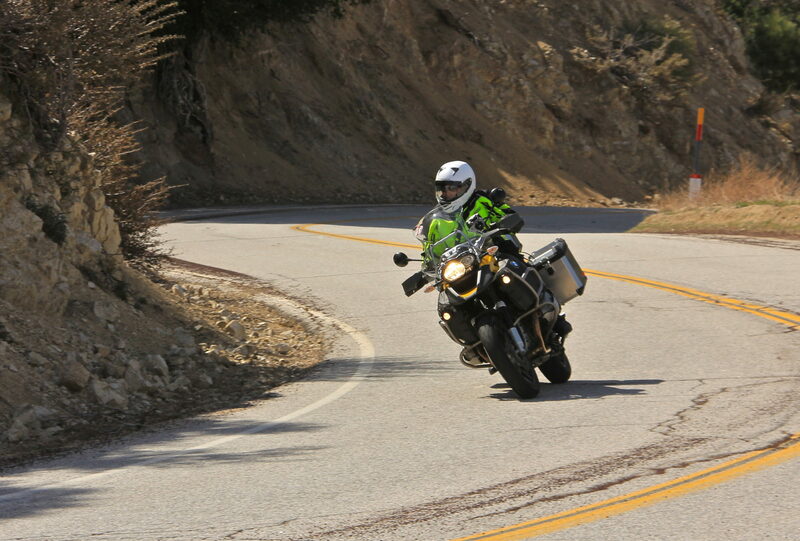 The temps were much cooler, the twisted roads became more challenging, and the fun just kept on coming! 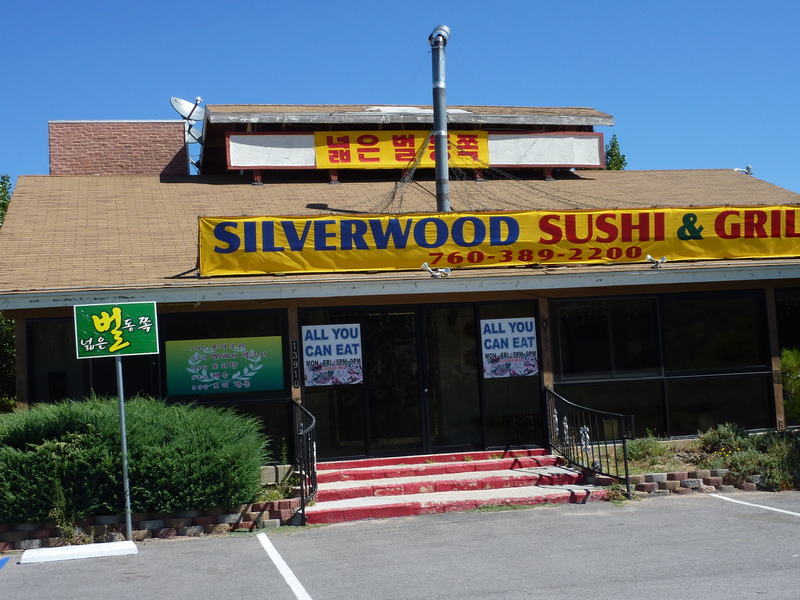 We spent the next hour or so riding up past Crestline, Lake Arrowhead, and finally, Big Bear Lake where we decided it was time to eat. 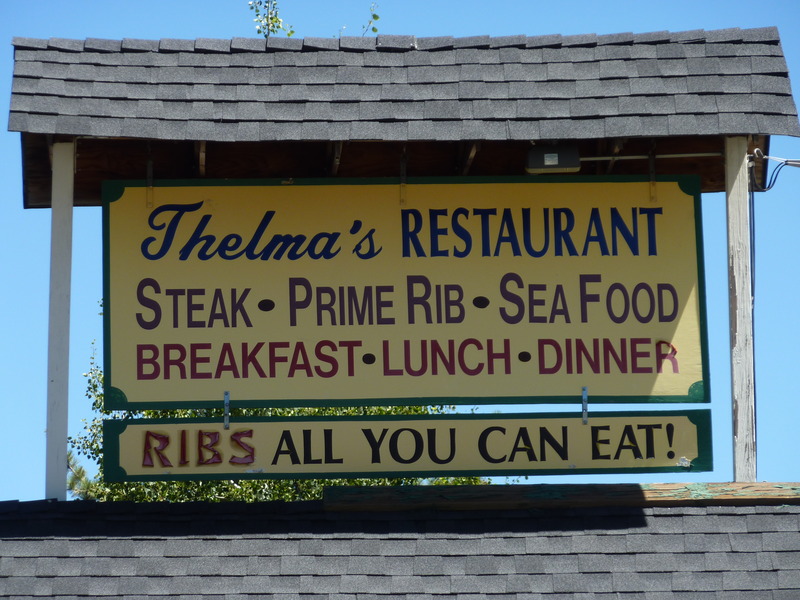 We like Thelma’s. 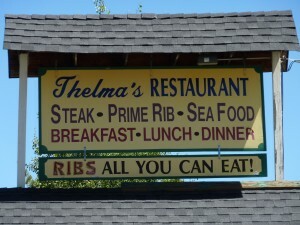 There are countless eateries in town, but for some reason J and I gravitate back to Thelma’s! 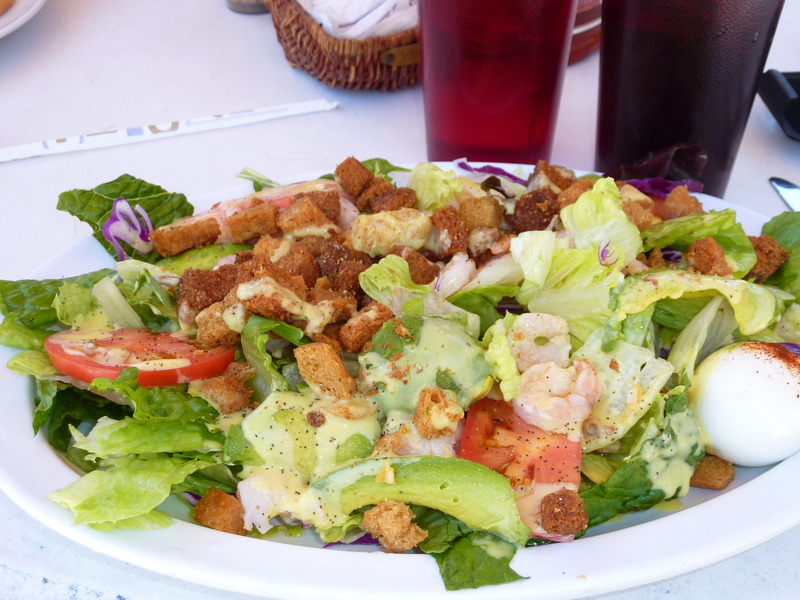 When in Doubt, Eat at Thelma’s! The ride around Big Bear Lake was cool, and pretty, but it seemed like everyone in So Cal had the same idea as us-Let’s go to the mountains! So, we headed east toward Baldwin Lake, where the tourist crowds thinned out considerably. If you continue east on CA 18 you head down into the Lucerne Valley, Victorville, and other environs of the high desert. In fact, if you suffer from motion sickness, this is a great way to head up to Big Bear as the exposure is steep and less miles of curves! And that was about it! From here J and I powered the Big GSA back along the northshore of Big Bear Lake, down thru Fawnskin, and finally back down the mountain. A great ride…excellent food, awesome twisties, scenery, and J’s companionship made it a wonderful 220 mile ride. We can’t wait to do it again when the Cottonwood trees are changing in the fall! Next PostNext On Mexican Time….